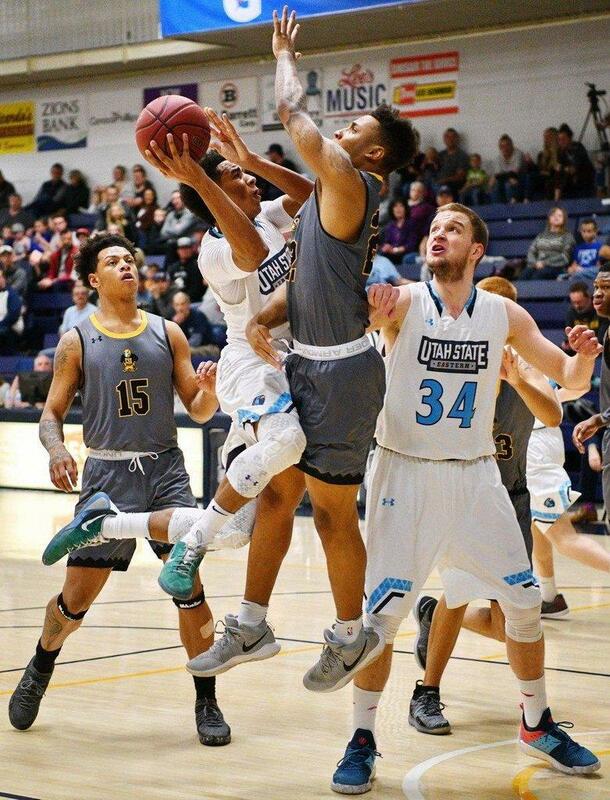 Utah State Eastern men’s basketball lost to the College of Southern Idaho Golden Eagles 65-54 on Thursday in Twin Falls. In the beginning of the game, it was low scoring as both teams didn’t reach double digits until there was 12 minutes remaining in the half. Both teams went back and forth with neither team able to build a lead as they struggled offensively. “Both teams did a really good job on defense and stopping the teams’ best scorers,” said USU Eastern forward Vojtech Ruzek. Each team scored below 37% from the field and under 21% from three in the first half. “We didn’t execute well. We missed a lot of open layups and didn’t get to the free throw line enough in the first half,” said Ruzek. USU Eastern managed to take a 29-27 halftime lead despite being out rebounded by CSI 31-23. Ruzek had seven points off the bench in the first half while starting forward Stevan Jeremic dealt with early foul trouble. CSI took an 11-point lead with eight minutes to play in the game as USU Eastern struggled to get the ball to go in. The Eagles shot only 25.6 percent from the field and 18.2 percent from three point territory in the second half. CSI continued to hold momentum and the lead in the final minutes as they went up by as much as 13 points on USU Eastern. With the loss, the Eagles’ conference record now sits at 4-4, which puts them in a tie for fourth place with Salt Lake Community College. “Chase came through strong for us tonight on offense, especially finishing through contact. Both him and Blaze did a really good job on defense and securing rebounds,” said Ruzek.